On this episode of This Week in Linux, the show is back after a brief hiatus and this episode is jam packed with awesome gnews. Valve announced a game changer with the new Steam Play with Proton. UBports has released a big update for Ubuntu Touch. Flatpak has reached version 1.0 with lots of cool new features to offer. 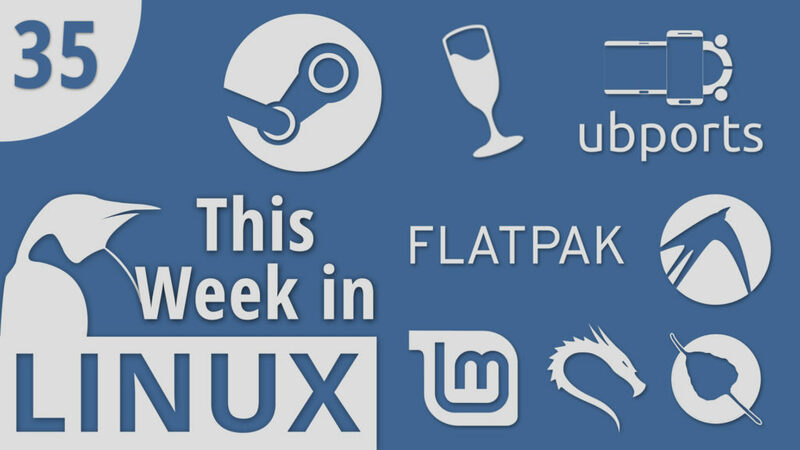 We check out some Distro News from Lubuntu, Bodhi Linux and Kali Linux. Then later in the show we take a look at new app releases for a new Music Player and Note Taking app and then a big release for Video Editing on Linux. All that and much more.